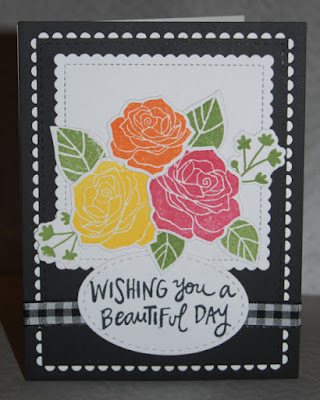 I've been experimenting with some new Tim Holtz Distress Oxide Inks. 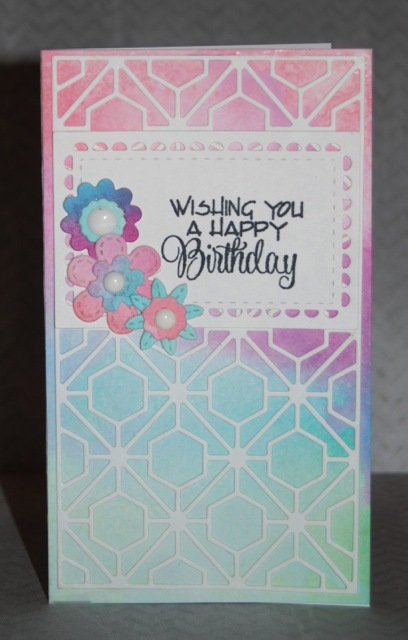 I blended some inks on watercolor paper and cut the panel down to match the size of a gorgeous Spellbinders Kaleidoscope Die. 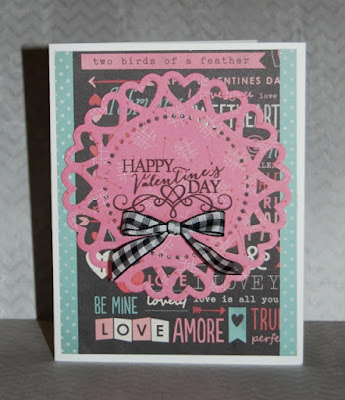 The Verve sentiment (from Poppy Birthday) is stamped on a Lacy Scalloped Frame by Reverse Confetti. I cut a few MFT Stitched Flowers from the remainder of the watercolor paper and topped them with enamel dots. Happy Fun Friday! It's time for a new challenge at Jo's Scrap Shack sponsored by Little Blue Button Stamps. 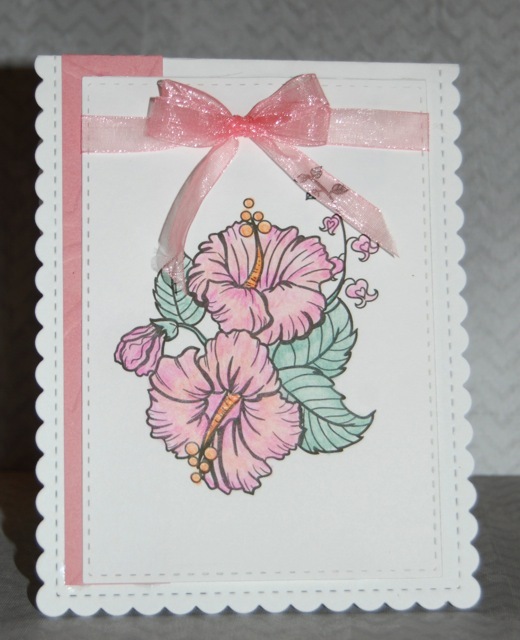 My card was created using the beautiful digital illustration, Hawaii Flowers. We live in a climate warm enough for Hibiscus to thrive and to attract hummingbirds. When my son was little, he watched the humming birds in the "high biscuits". 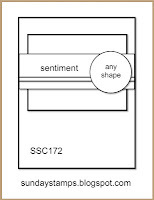 I smiled at that memory while coloring the beautifully illustrated stamp. 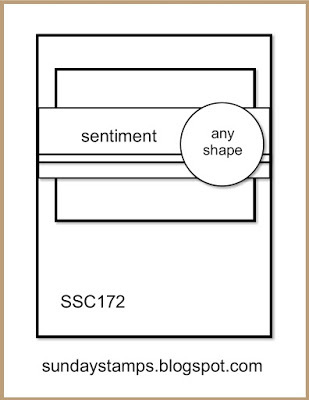 challenge entry project, challenge entry project, using the linky tool. * All entries that do not meet the challenge requirementsWILL NOT be eligible for the top 3, any sponsor wins or any random wins by JoAll random wins will only be mailed within the US and Canada only. 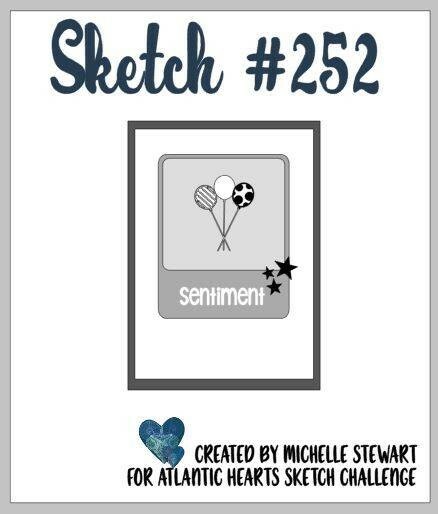 The Atlantic Hearts Sketch sent me looking for something to cluster in a group of three. Reverse Confetti's Rose Garden is a favorite for pretty paper posies. 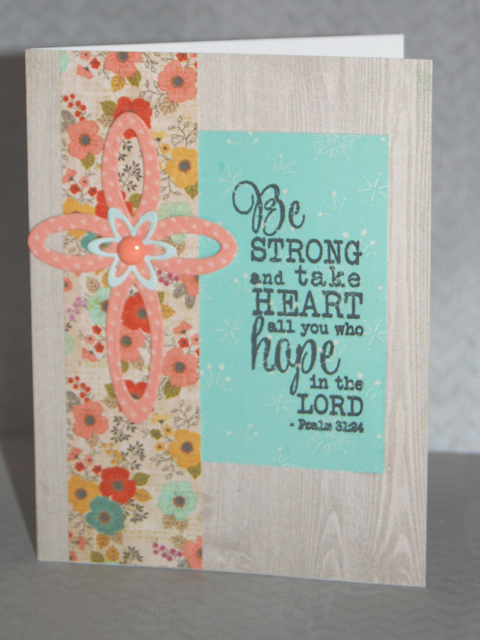 I inked them in bright colors and cut them with matching dies. The black panel is cut using a Reverse Confetti Lacy Scalloped Frame, and the scalloped square is from MFT. My scrap bin contained a length of gingham ribbon just right for wrapping around the base. Thanks so much for visiting. Do have a beautiful day! I just love this week's Sunday Sketch, and Reverse Confetti's "Donut You Know?" is such a fun and versatile set. 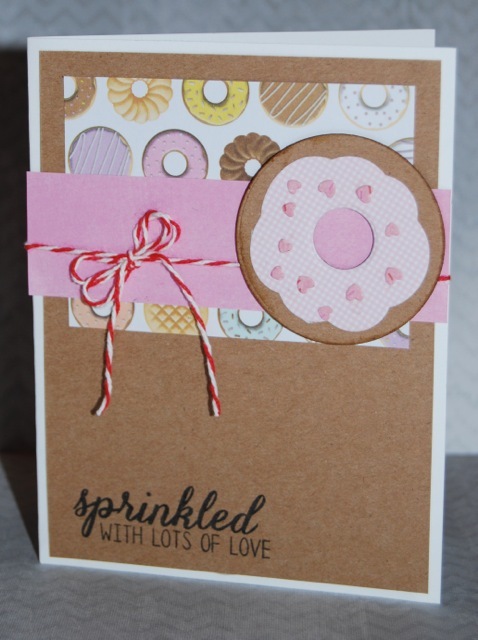 The witty sayings fit a variety of occasions, and there are three shapes of sprinkles in the set of die cuts. 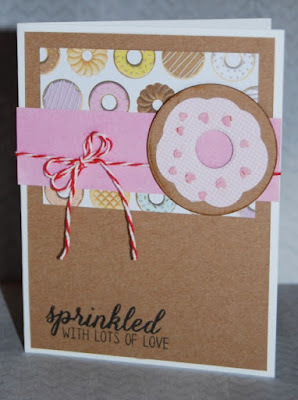 The "donut hole" is an option...leave it out and you have a cute cookie! So glad to have a little time for ink and paper this weekend! Happy, happy Friday everyone! 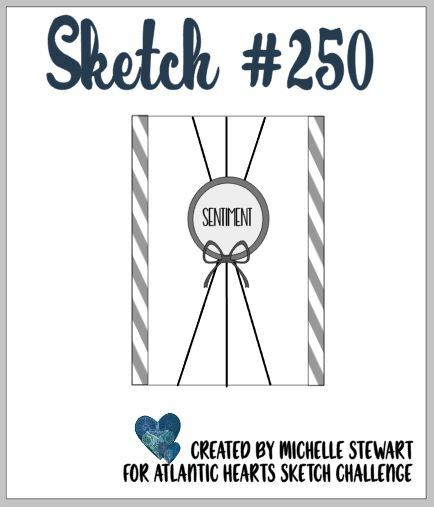 A big welcome to the first challenge of 2018 and also to the new DT members at Jo's Scrap Shack. The design team is showcasing projects featuring files from the Cutting Cafe. 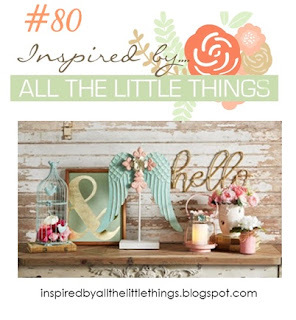 Please visit so see what fun things can be created with Cutting Cafe products, and please take time to link up your own anything goes projects. 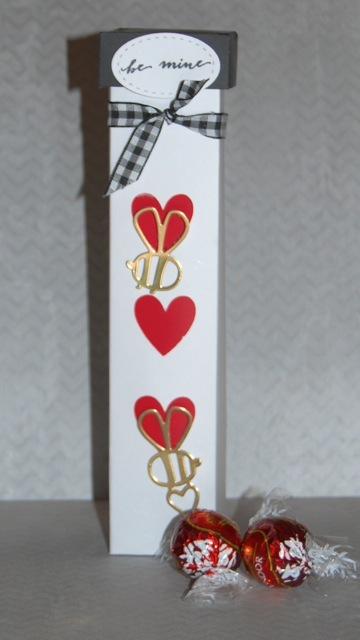 My Valentine gift box utilized the Skinny Tube Box SVG file that comes with several window and lid options. 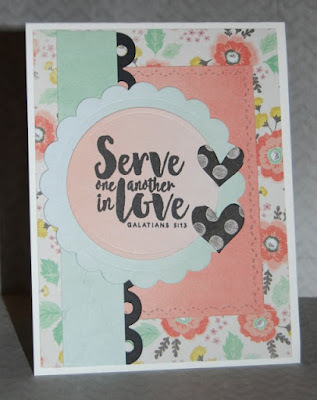 Not having an acetate panel, I backed the heart shaped windows with red paper and added some bee die cuts and a "be mine" sentiment from Verve. It's filled with Lindor Truffles, which my Valentine loves! This week is School Counselor Appreciation Week, and I wanted to make a card for the occasion. 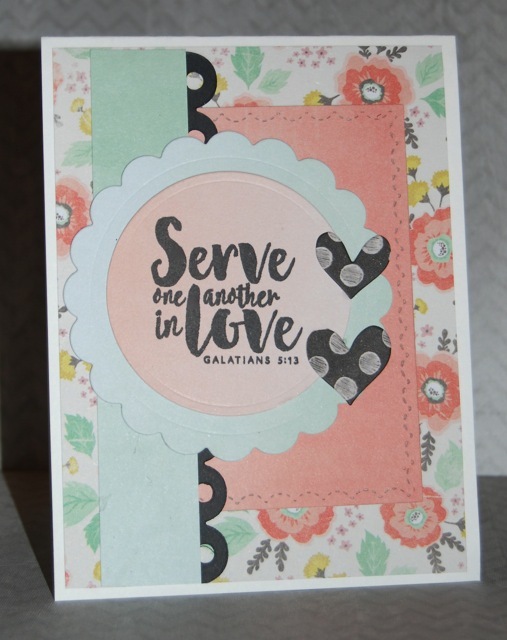 The verse from Verve's Scripture Medley Five is a perfect way to say thanks to our kind-hearted counselor. Lots on my plate now, so I will keep this brief, giving thanks for a sweet co-worker and for a little time to create. 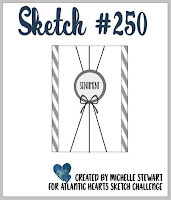 Big congratulations to Michelle for the 250th Atlantic Hearts Sketch Challenge. Wow! That many challenges represents a tremendous level of commitment, hard work and creativity.